Specially blended with added Assam to create a bold, refreshing and full flavoured taste. For the tea drinker who wants a little more from their cuppa, The Tetley Blend Collection is the perfect tea range for you. Using only the finest teas and applying our 180 years of blending expertise, we have created the perfect drop for you. 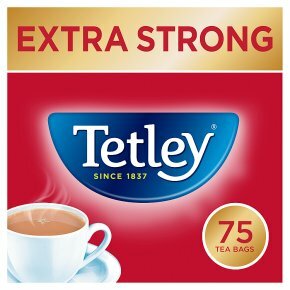 Tetley Extra Strong is a delicious blend of specially selected teas with added Assam to create a bold, refreshing and full flavoured taste.